Soul Purpose will take you on a soulful voyage from start to finish. The chart topping single "LET IT FLOW" featuring Warren Hill achieved Top 10 on Billboard, #8 Groove Jazz, #9 American Music/USA TODAY, #10 Smooth Jazz Network. The CD also achieved the #1 best selling worldwide CD in Soul Jazz! This is “Soul Jazz” done right! 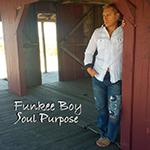 Funkee Boy writes and produces with some of the most outstanding names in music today...NAJEE, ELAN TROTMAN, ERIC DARIUS, VINCENT INGALA, SEVEN, LEILA, ROBERT HARRIS... yet, he still is accessible and continues to be hired by songwriters, lyricists, vocalists, and musicians at all levels worldwide. Mat Marucci & Doug Webb - Why Not? Why Not? has an urgency beyond the recordings above. The trio of drummer Mat Marucci, saxophonist Doug Webb and bassist Rob Lemas offers a blowing session with a definite Coltrane accent. I'm not talking slavish imitation, where each lick and gesture can be referenced back to a particular moment in the Coltrane oeuvre, rather music inspired by the master in its imagination and energy. The music has the energy of free, but employs a variety of structures, bluesy and song form. The trio's ability to fully mine these variety of structures for vibrant, ceiling scrapping blowing marks this as a notable recording. Grant Geissman- Bop! Bang! Boom! BOP! BANG! BOOM! 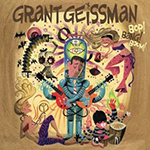 is the powerfully eclectic new recording from jazz guitarist/composer Grant Geissman. With special guests including Tom Scott, Larry Carlton, Albert Lee, Russell Ferrante, Mike Finnegan, Leland Sklar and Van Dyke Parks. 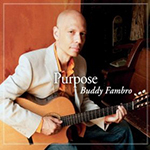 Guitarist, composer, arranger, and producer comprise the many talents of Chicago’s own Buddy Fambro. A respected musician on the local scene, Buddy’s performance portfolio spans both national and international territories. Buddy has complemented artist such as Ramsey Lewis and Urban Knights, The Staple Singers, Heather Headley, Michelle Shocked, Ledisi, Maysa, Steve “Silk” Hurley, The Mighty Dells, Nick Colionne, Marion Meadows, Gerald Albright, Otis Clay and many others. 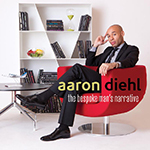 This is Buddy's second solo album of creative contemporary jazz compositions and arrangements... Buddy certainly has the touch! 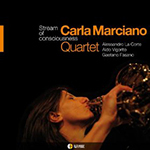 Carla Marciano marks her debut for Alfa Music and confirms the fact, which was already quite evident, that we are dealing with a truely great musician and a major exponent of contemporary Italian Jazz. Listening to this CD it immediately becomes clear that she is also an artist with her own precise poetic qualities. "Hopeful" is a major success, and has now received national and international radio airplay, on major stations, while being incredibly well received by a large variety of audiences. 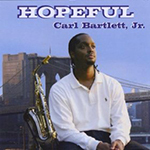 The Carl Bartlett, Jr. Quartet/Quintet is also currently in the midst of touring the NYC music scene, performing at top jazz venues. “This band is extraordinary because it taps into the philosophy of reaching diverse audiences while playing the straight ahead jazz language,” says Carl. 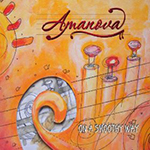 With the support of numerous people on the participative site Ulule, Amanova has just released her first EP named "On a smoothy way." This young artist, a native of France, realizes a first opus with her colleague and arranger Philippe Gatto. Friendly lyrics or critical ones, intimate or challenging, carried by a sandy and gravelly voice. A variety of influences to propel us across a vast musical expanse. let the sweetness of its waters catch you. Evidence of Things To Come includes 10 original compositions, vaying from tender ballads to fiery improvisations. Many of the songs are feats of musical exploration, allowing Hogans free rein with his solos. Hogans shows that he can embrace electronic instruments as well. You must listen to this one. It's A Jungle Out There is a rollicking musical journey and a great celebration of American Music while at the same time an appetizing preview of what this group is capable of live. Putting on It's a Jungle Out There at a party is a sure bet, but seeing these talented players live really brings the party directly home to you. Mat has numerous critically acclaimed recordings to his credit as a leader and others as a sideman, including those with John Tchicai and Jimmy Smith, and is also the author of several books on drumming for both Lewis Music and Mel Bay Publications. Live at the Jazz Bakery is a pleasure to listen to. This is one you'll want to listen to over and over.